Founded by Jim & Lyda Hadley in 1964, Cypress Cove is still owned and managed by the Hadley family to this day. Jim was introduced to recreational nudism through his love of photography. He and his wife immediately fell in love with the lifestyle. They joined a club in South Florida in the 1950's and even helped with some management issues. In 1962, they were in Orlando for business and saw an ad for 60 secluded acres with a lakefront. After seeing the property for themselves, they knew it was meant to be. 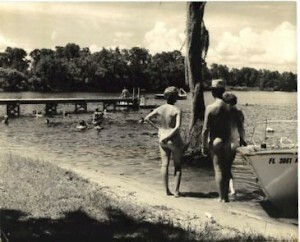 Cypress Cove opened to the public in the Spring of 1964. Initially, the park was very small. It mostly consisted of the lakefront and a wind screen. Within a few years, they were able to add a small clubhouse and snack bar. As membership grew, they added a few RV sites and even a few residential mobile homes. Disney opened in 1971 and that changed everything. Orlando was suddenly a huge tourist destination. The RV Park and the Mobile Home Park were both expanded. Roads were paved. The Clubhouse was expanded. Rental trailers were added. Our first pool opened in 1980, along with a new Clubhouse. Membership grew rapidly and our facilities would have to grow as well. A plan was hatched for our largest expansion yet. Construction began on our new Villa Hotel buildings. The first building opened in 1989. It was much more luxurious than the old rental trailers. Cypress Cove was entering the modern age. The Lakeside Restaurant opened in 1992. It was a beautiful facility with seats overlooking our natural 50 acre lake. It boasted a large dining, stage and dance floor. The old restaurant was converted into the new Front Office. Unfortunately, that was also the year that Jim passed away. His son Dean, who had been helping to manage the park since he was a teenager, now had to take over the family business. The last Villa Hotel building opened in 1993. A new pool bar, Cheeks Bar & Grill (motto: Rest Yours At Ours), opened in 1996. It was an open air bar with a vaulted ceiling and open beam construction. The contractors had only seen that used in churches. One of our members dubbed it St. Michelob's Cathedral. Lyda, or Pete as she was known to her friends, passed suddenly in 1999. Finally, after many years of planning, our West Pool complex opened in 2000. It consisted of a large free form swimming pool, an outdoor hot tub, Gameroom, Boutique, Hair Salon, Gym and a Massage facility. It was ambitious but it really paid off. Cypress Cove had now fulfilled its promise of becoming a world class nudist resort. The years since have been mostly about renovating and upgrading our existing facilities. We've installed concrete pads in the RV Park and upgraded electric hookups to 100 AMP. We've remodeled the Lakeside Restaurant, Scuttlebutts and Cheeks, as well as all of the resort and campground bathhouses. We built the new Pickleball Courts. We've recently started renovating our Villa Hotel Buildings. We've completed three already and we're very happy with how they turned out. The reviews have been very positive. We even switched to electronic door locks with handy waterproof wristbands for your room keys. You don't have to worry about carrying your keys around and you can even take them in the pool. They are perfect for nudists! 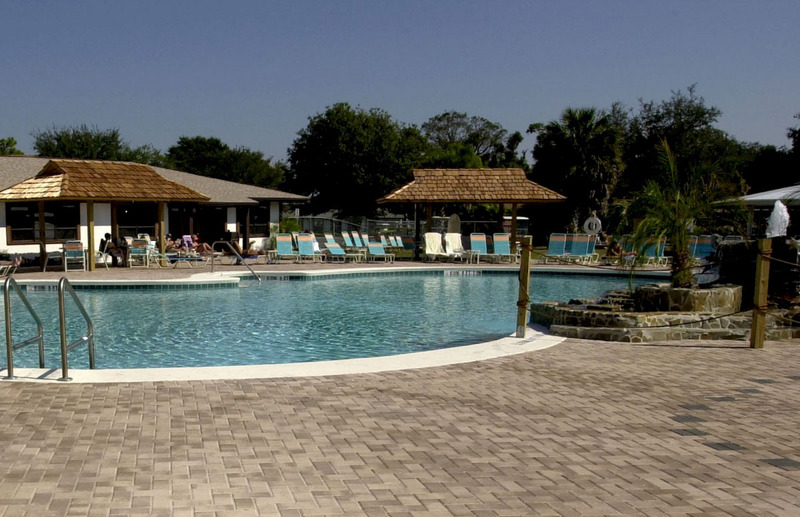 Cypress Cove Nudist Resort is dedicated to always improving a little bit every year. We hope you'll join us.